I thought I’d share a little love back. 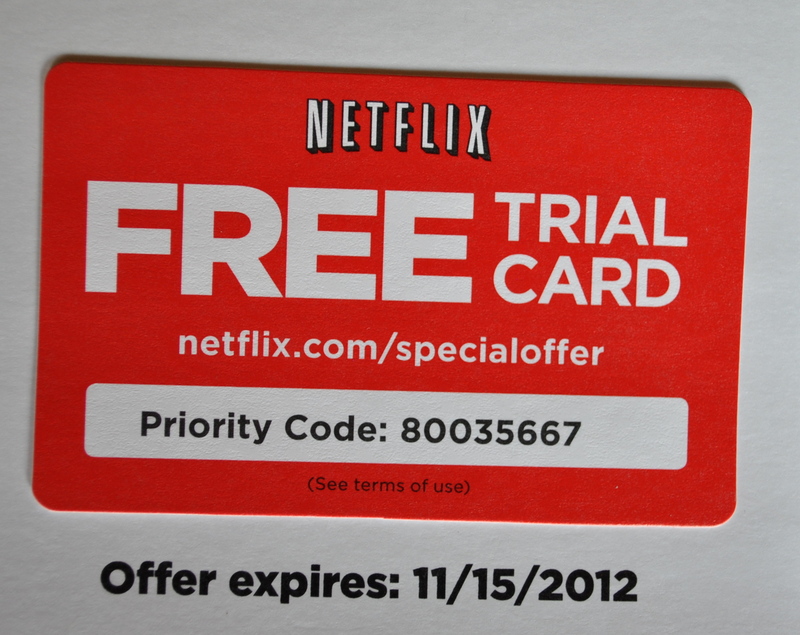 I picked up my mail this morning and Netflix sent me a SPECIAL OFFER. Note! This offer is now expired, but you can now watch Forks Over Knives for free Here. A free trial card to share with as many friends and family as I like. I think that means you can share it with your friends and family too. Go Crazy on Facebook and Pinterest My Friends. Report back and let me know what you think. I just discovered that netflix may not work outside the U.S. Blast, I need to update this post. psst. apparently there are ways around the issue if you are google savvy. I am the queen of google. We can get Netflix here, but I was leery of the request to give my credit card number, then the need to subscribe and remember to cancel the membership after a month. I’ll look and see if I can watch it on project free tv or something similar. Atta girl, It’s really worth a watch. I didn’t know they were so sneaky. Ratbags! Hope you can get it somehow! I’m not google savvy and I live outside the US. Any ideas? and many thanks!!! Fran, I’ll check with the folks at Forks Over Knives and get back to you. It may take a few days…. Thanks Somer! I live in Israel, and I’ve been trying to get the guys (Rip, and his Dad. etc) to think about bringing their ideas here as well. The weekends and weeklong retreats would do a lot of people out here some good. Wouldn’t that be awesome? The whole world needs this. Which I’m sure you’ve all ready done. Blast. Sorry. 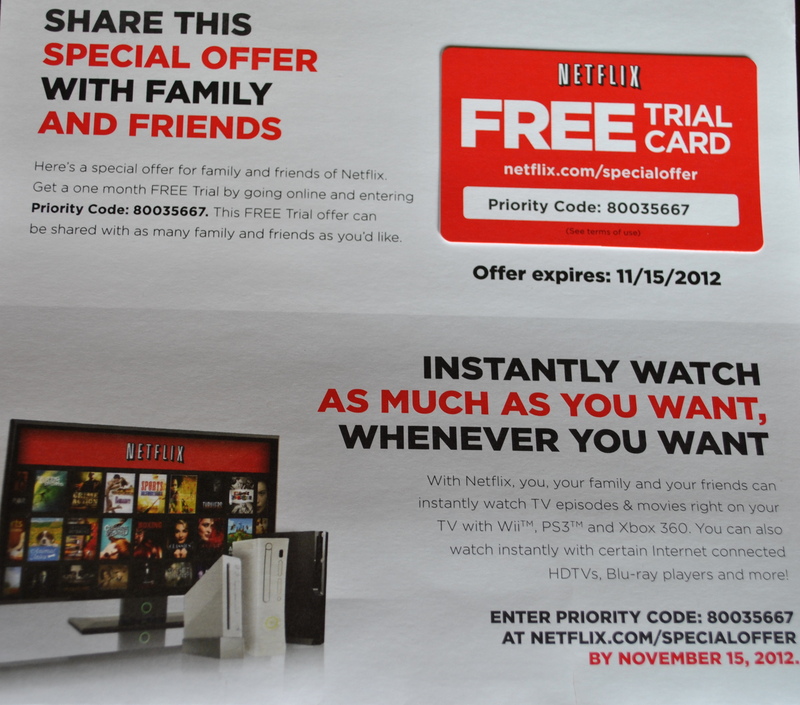 We already have Netflix, but that is so nice of you to share the code!! 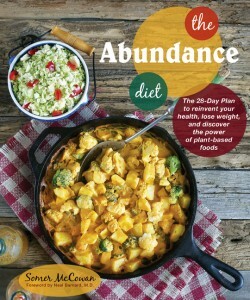 And I watched Forks Over Knives several months ago and LOVED it:) I have also watched Food, Inc. But I have not seen Fat, Sick, and Nearly Dead yet, though I have been meaning to for a while now…I will have to see if we have it on Netflix!! Another is “Fresh! The Movie” in your instant queue. If you haven’t seen it yet, I feel it will complete your repertoire – it “goes.” Dirt! The Movie is yet another, my personal favorite, since I’m a girl of the soil. The same message is continued there too (a diet heavy in meat is destructive in so many ways). Netflix is worth the subscription, not to mention a free month to try it. (You won’t stop there, either. They know you’ll be hooked.) We ditched $80 satellite service (250 channels not worth watching with ad after ad after ad). We even take our Roku (streaming box) with us when we travel. Been nearly two years. Not going back. The documentaries, kid-friendly programming, and nature-and-science shows alone are worth the investment. If you don’t get a chance to watch “Dirt!” anytime soon, at least watch this short YouTube video by Wangari Maathai, in the movie. Oh my gosh, just watched the you tube clip! In LOVE! I’ll watch dirt tonight when the kidlets go to bed! xoxo! p.s. I just fixed a problem with my following through email.I was missing posts from you, Gabby @ the veggie nook, Vegan Sparkles and more. You should see me around more often now. I’ll be drooling all over your creations! What a great idea, Somer! I have Netflix and we’ve seen all of them except Fat, Sick & Nearly Dead. It’s in our queue, though. Another one I suggest is Earthlings- it goes in depth into how bad the way we exploit animals is for our health, the earth, and our society. Amazing film. I love the idea- I think it’s great and so true- if it can get one person to watch it and change their way of thinking, who knows who they will get to watch it. I have to warn you- Earthlings is HARSH. It’s hard to watch but I can honestly say that it changed me forever. It made me see everything differently. It happened to me 😉 Thanks for the warning on the earthlings film. I’m pretty wimpy and can’t tolerate watching any of the factory farming films. I’ll give it a go though and close my eyes if I need to during the rough bits. ReBlogged! Why are you so awesome? Dad: Somer cooks like a beast! Somer: Wildebeast or Roast Beast? Somer, at Vedged Out, was kind enough to offer this, and I couldn’t keep it from you guys, so, enjoy. Thanks, Somer! I’m so excited because I have in-laws and friends who don’t have netflix and have wanted to watch Forks Over Knives since I’ve been telling them about it. Way to share the LOVE!!!! WOOHOO Laurie! Share Share Share! p.s. We need to get together, In a few weeks when my PTA duties settle down we should meet in the middle somewhere for lunch! DEFINITELY!! I would love that!! If I have already watched these and gone whole-foods vegan, can I watch something trashy? What a shame, Netflix is not yet available in Australia. I just tried to use it so I could watch Forks over Knives. My food changing film was Food Inc. It has taken a long time for me to fully change my diet and I’m not quite there yet. But that film totally changed the way I view the food I eat. I now check for numbers and for corn syrup and try to avoid any feedlot animals. I don’t see myself being a vegetarian or vegan but I am certainly eating more vegetarian and vegan foods, and have started looking to them as my first choice for breakfasts, lunches and 2-3 dinners a week. That’s a big step for me because I used to be a ‘if there’s no meat it’s not a meal’ kinda guy. Not only that, but I am getting closer to cutting out processed foods from my diet. There will always be some there but I’m now choosing those with real ingredients rather than numbers or corn syrup. There are some ways around it if you do a little Google search. But try to watch it another way if you can. As you can tell, the film SERIOUSLY changed my life for good! I love FOOD INC. I have nearly all Michael Pollan’s books (he’s featured a lot in that film) So eye opening. Feedlots should be a crime. They are horrid for humans and animals and the planet. I totally get that your a meat guy, most are 😉 My husband was too, but he jumped in with me with both feet to give this a try for my health’s sake. He’s been amazed with the changes he’s seen in his own health (and he wasn’t sick) He isn’t as strict as I am and still occasionally indulges in animal products but overall eats about 95% plant based. I think moving that direction can only improve everyone’s health. And yes, corn syrup and additives are gross and have no place in my home! Thanks for all your support! Hi Somer! 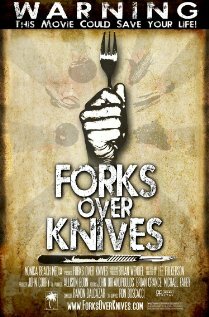 I can’t seem to find Forks over Knives on Netflix 😦 I’m from Canada, maybe that’s why.. Do you know where else I could watch it? It’s not on Project free tv either :(..
Dangit! See if this link works, I think it costs less than $5 to view, which is worth every penny. Let me know if that doesn’t work and I’ll do more research.